The Borg may be gone, but what does a devastated Federation do now? As the final confrontation with the Borg looms, has the Federation's only hope betrayed them? Dax has a plan to stop the Borg, but a traumatised Picard stands in her way. The Borg Queen fights back against Starfleet, but has she met her match at last? Dax is determined to do something to stop the Borg, no matter how reckless. Summary: Crossover with NCIS. After a military officer from an alternate 21st-century Earth is found dead on Deep Space Nine, Commander Sisko and Constable Odo join forces with investigators from the officer's homeworld to find the killer. Summary: Trek/Wars crossover. Kirk, Spock, and McCoy meet someone from the GFFA. Summary: Sequel to Yesterday In Tomorrow. With the crew in pieces, an unknown danger lurks in the threads of space-time that threatens to destroy both past and future. Disclaimer: I only own the original characters and plots. What if you could see before and after canon, and fill in the blanks? The In Between Days universe follows six principals in that series, and their counterparts, as the Enterprise NX-01 travels the galaxy and its preliminaries and aftermath are also shown. The six principals are: Leonora (Norri) Digiorno, Douglas JH Beckett, Dr. Pamela Hudson, Melissa Madden, Charlotte Lilienne O’Day and canon character Malcolm Reed. The longer books are listed in chronological order, with teaser copy and dates, but only with a link to where a book is already posted. The title In Between Days refers not only to a Cure song of that name, but also the time period roughly between the Terra Prime/Mirror Universe episodes on ENT and the These Are the Voyages episode which ended that series. As always, I thank you for reading, reviewing and inspiring. Summary: Sent to Nimbus III on the USS Grissom on an errand of diplomacy, Sarek has a chance encounter with a Klingon, Councilor Gorkon. Before he can get very far in negotiations, however, Sarek is forced to return to Vulcan upon the unexpected death of his son by Khan's hands. As he struggles to understand the moral implications of the Genesis Project, Gorkon decides to accompany Sarek and Amanda back to Vulcan -- even as the Klingon Empire prepares for war. And then there is Curzon Dax: a young man coming to Vulcan in the midst of an identity crisis. Paradoxically he is old enough to remember 150 years of one Vulcan's family history, and unlike Sarek and Amanda, he doesn't feel especially honor bound by Vulcan cultural taboos to keep his mouth shut. During their strange time together, Gorkon's unexpected wisdom leads to some revelations concerning Sarek's relationship with Spock and his opinions of Spock's bondmate, and it helps guide Sarek's actions as he makes plans to visit Jim on Earth. Half a dozen characters are unceremoniously plonked into a mysterious room. Their only instruction is to help others. Meanwhile, characters from other universes are told to ask for advice. Will anyone be able to connect? Gifts for the holidays! Here are some ficlets set in others' universes. I hope I got the voices right. 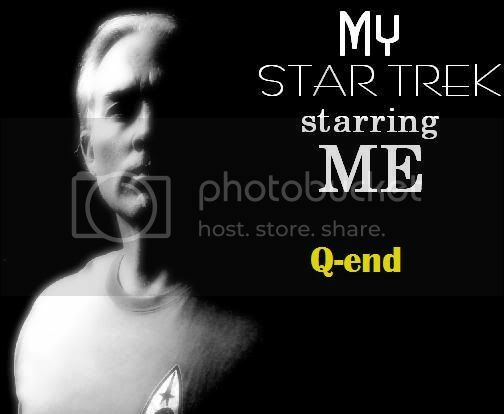 After ten years, Peter Kirk has returned to the lives of his uncle and the crew of the Starship Enterprise, raising questions, concerns and not some small amount of pain as the shattered young man is very obviously in bad shape. What will the crew do when what should be a joyous return from the dead turns awkward and off-putting? Summary: Continues after 'The Siege of AR-558.' The Defiant has made it back to Deep Space Nine safely, but they quickly find themselves exposed to secrets about the ongoing war that are worse than anyone thought actually possible. Chief O'Brien immediately finds himself personally involved and slowly, but surely, other Starfleet personnel and their allies are shown hidden truths. Summary: In the great tapestry of universes, there are many paths not taken. Some lead to greater understanding. Others to great darkness. When a single man fails to stop vital information from falling into the hands of the Dominion, history changes. Now, months later, the Federation is teetering on the brink of the abyss. With the Dominion pushing ever further, few people will fail to fall. A prequel to the Restoration series, this tells the tale of our beloved heroes, such as Picard, Sisko and Janeway, and the role they each have to play in the fate of the fallen. Summary: Response to the Crimes Challenge. Set in a retro future of New Kansas City, ex Starfleet Officer turned Private Detective Merrick Dylan takes a case full of interstellar intrigue and mystery. Summary: The ship's aground on the shore of this uncharted desert isle. The final chapter of this story. Am I coming home? A century before the Dominion War, the Ku'Vok-leth (The Honor Brigade) was a prominent military faction within the Klingon Empire. When the Empire and the Federation made peace, the Ku'Vok-leth became far less influential. Following the Dominion War, the Klingon High Council began turning a blind eye to the actions of the Ku'Vok-leth. Now, this anti-Federation group plans on using one of the biggest scientific discoveries, a single particle capable of destroying subspace, as a weapon. Retired Starfleet captain Benjamin Sisko must reunite with his former colleagues to stop these Klingon radicals before they can cut off a strategically important star system from the Federation forever. But this conspiracy turns out to be more than just a simple act of terrorism, as Section 31, the Romulan Star Empire, and the Dominion have a vested interest in the events of the next few days. And as the crew of Deep Space Nine come to learn, such a conspiracy reaches all the way up to the President of the Federation. The crew of the starship Bellerophon investigate a distress call from a secretive science outpost on the fringes of Federation territory. When they arrive, only bodies and the wrecked remains of the outpost are found, and they're ordered to performed a standard investigation of the accident... under certain information restrictions imposed by the ship's captain. Earth is attacked. The Breen Confederacy, now in collusion with the Dominion, have a powerful weapon that could turn the war back in the Dominion's favor. 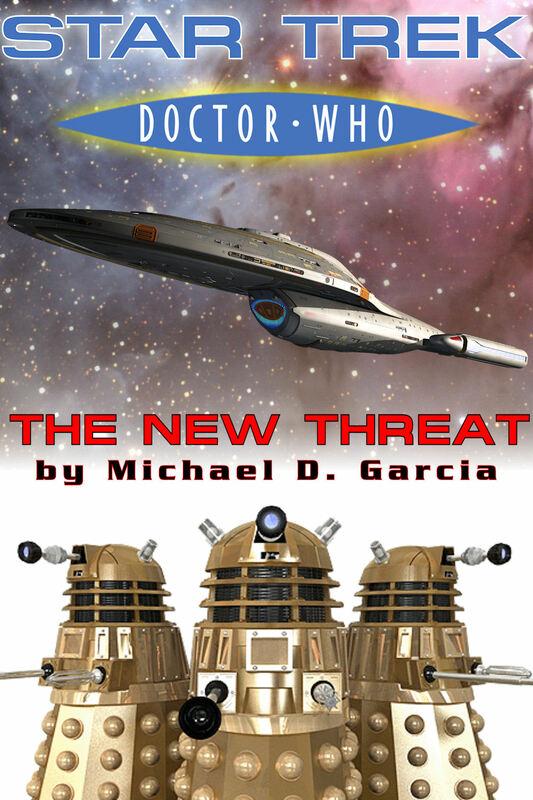 The USS Lambda Paz is dispatched to Minos to harness a powerful weapon left behind by a long-dead civilization. But other forces seek to use this ancient weapon to advance their own goals. The crew of the USS Lambda Paz is in a race against time to prevent a group of Human Augments from unleashing a deadly biological weapon on an historically significant planet within the Cardassian Union. While Captain Limis Vircona embarks on a daring rescue of Doctor Aurellan Markalis, she remembers how she had to overcome her hatred of Cardassians to avert a major catastrophe.